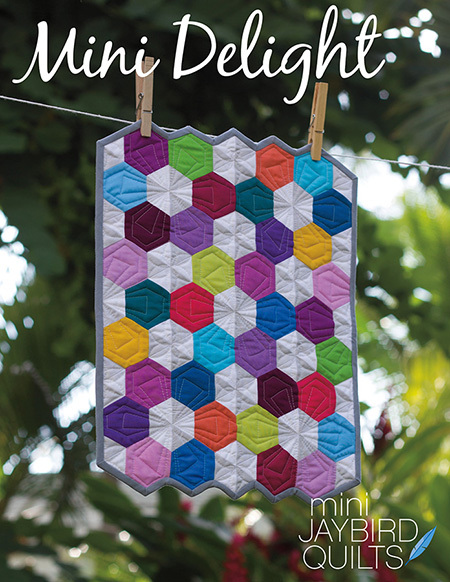 I'm excited to announce 3 new mini patterns! 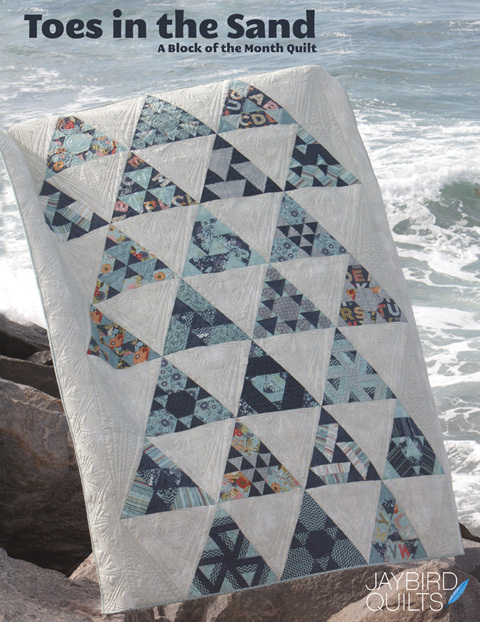 I'll be showing them off later this week in my booth at quilt market. Each of the new minis is made from a charm pack! 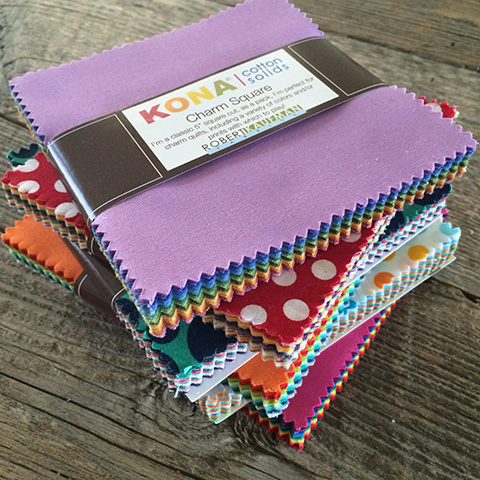 First up is a miniature Kona version of Delight! And third in line is a miniature Science Fair! Mini Delight, Mini Off the Rail & Mini Science Fair are all available now! 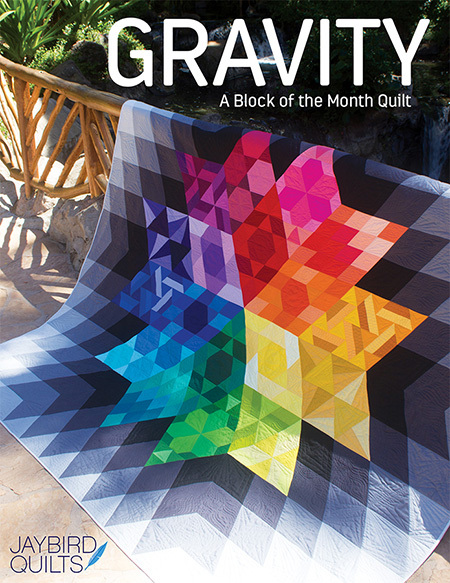 Ask for them at your local quilt shop. 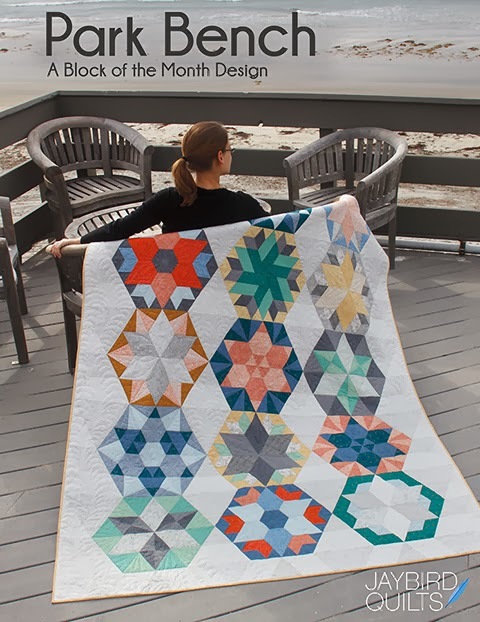 The patterns are printed in full color and include templates. Plus there's no Y seams! 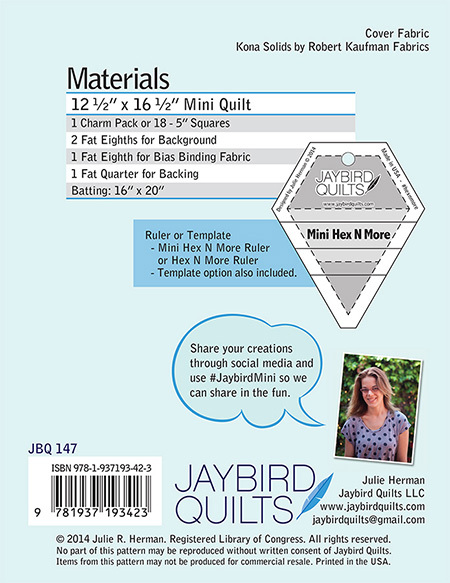 The Mini Hex N More ruler is also available now (click the link to the ruler to see the video tutorial on how to use it). Check my 'Where to Buy' page for shops and be sure to ask for it if you don't find it. 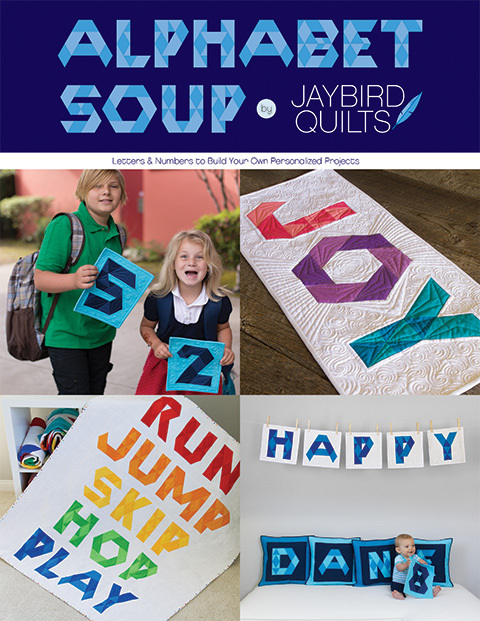 Which of the #JaybirdMini quilts have you made so far? Which of the new ones will you add to your "need to make" list? Tell us about them in the comments. Thanks! You have not created the pattern yet that I wouldn't like to make!! And all of your minis are so cute! The three new ones also are irresistible! 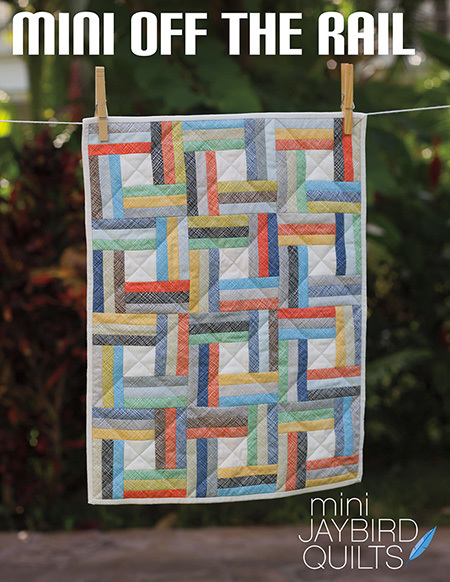 At this moment I'd probably start with the Mini Delight, because it's such a happy little quilt. This morning a beautiful little grandson was born and he really is a mini delight! Kitty I am with you in that I want to make all of her patterns. I have not tried a mini yet but have the ruler. Congratulations on your mini delight grandson. 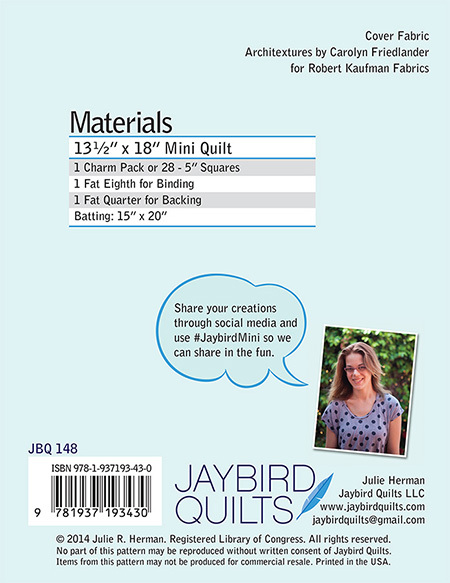 Congratulations Jaybird on your new minis and all of your patterns. 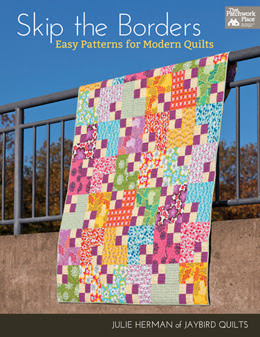 Great patterns can't wait to try them. 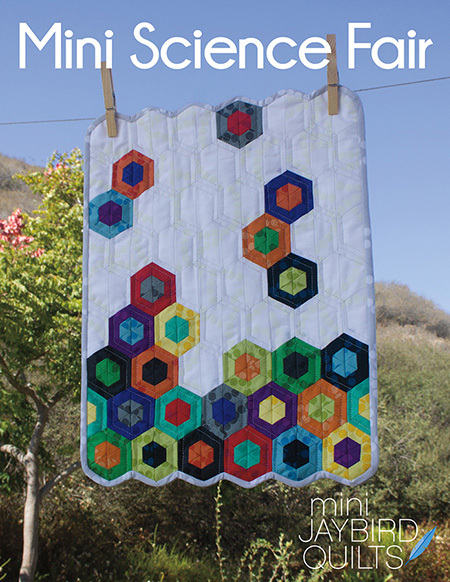 I hope these will be out immediately I would love to make the mini Science Fair! 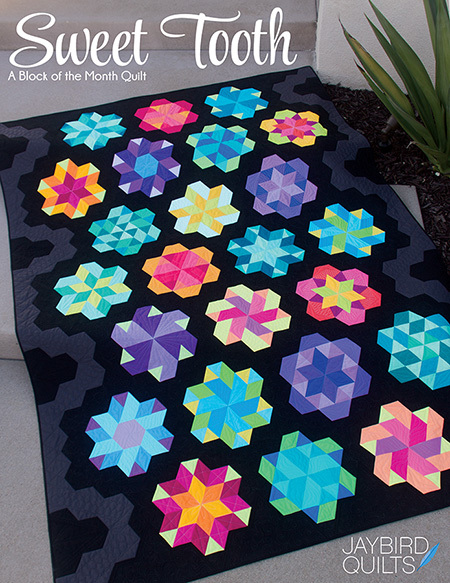 I just bought the big pattern and would love to make my mim quilt partner this one! These are all wonderful! Have fun at market and take lots of pictures!